WorkStrategy’s eRewards+ delivers comprehensive total compensation statement processing and web-based employee self service. Integrated with PeopleSoft HCM, eRewards+ is flexible enough to support your organization's contributions to employee benefit plans, retirement plans defined benefit and defined contribution), FICA, SUTA, FUTA, salary, variable compensation awards, and other fringe benefits. printable statements from the PeopleSoft portal. Employer contributions such as 401k matching can be refreshed each pay period, or quarterly, as desired. 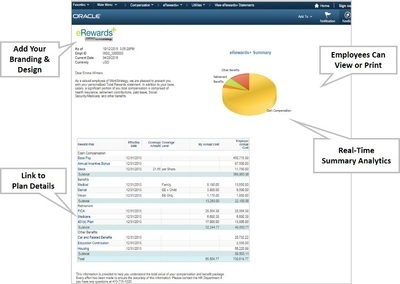 PeopleSoft customers using PeopleSoft North American Payroll are able to refresh employee and employer contribution data automatically. 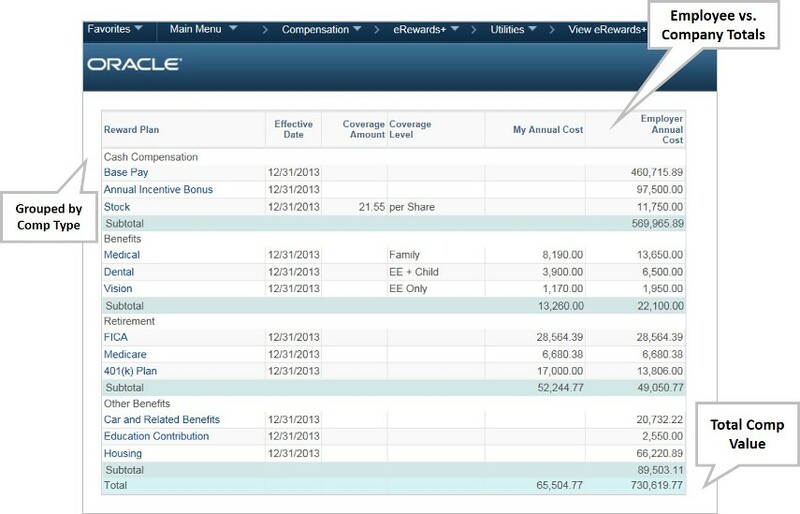 Real-time analytics summarize compensation categories (cash, benefits, fringe benefits, etc.) graphically. Organizations control employee communication content (text, graphics, layout) and hyperlinks to other intranet or 3rd party external websites such as benefit providers.